Email me at askfuiping@gmail.com to solve your painful gout problem. 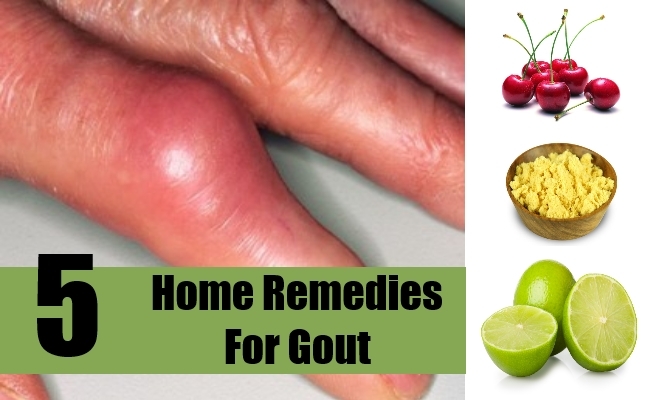 Gout is a sudden, severe attack of pain, redness and tenderness in the joints. The attacks are usually sudden, happens at night, intense and lasts 12 to 24 hours. It can affect anyone but men and post-menopausal women are at higher risk. Food e.g. peanuts, internal organs, anchovies, mushrooms, asparagus and herring. Uric acid produced by our body. What is uric acid and why does it cause gout? Click here for a simple explanation.. If you have suffered from gout attacks before, you know how painful it can be. It may not be possible to change your lifestyle and you don't want to refrain from your favourite food. So you can only rely on drugs to control your pain. This is not a long-term nor a safe solution. Allow me to show you 5 safe ways to Successfully handle this agonising problem. People with high uric acid and gout problem are advised to cut down on protein consumption. However, our body cells are made up of protein and if you don't consume sufficient protein, your body won't have the raw material to repair damaged cells and grow new cells etc. Your body needs protein regardless if you have gout problem. So, choose a safe and quality source of protein to take. Try Jia Hor Soya Protein, because it has been converted into amino acid form i.e. smaller molecules that allow for easy absorption by our body. It has also undergone an isolation process whereby the purines, cholesterol, allergens and fats have been removed, making it perfectly safe to be consumed by gout patients and people with kidney problem. For people who are really unable to safely consume other sources of protein, drinking 6 sachets Jia Hor Soya Protein a day is sufficient for your daily protein requirements. It will give you a lot of energy, and beautiful skin. Dissolve 2 sachets protein in a shaker with 350-400 ml warm water and drink immediately. It tastes very nice. This formula is also found to be very effective for people who have gastric attack. (a) For people with serious gout problem, brew 4 sachets of Luchun Lingzhi Tea in 400 ml very hot water. Put in a covered thermos. The label can be easily removed from the teabags by a quick tug of the thread. Let it simmer for a while to release the aroma. Drink the first cup immediately then continue to soak the teabags in hot water and drink it the whole day. Expect to have a higher volume of urine. Your urine will also have a lot of bubbles. (b) This is a solution for people who want to reduce their high blood sugar level, cholesterol level and also manage gout. Take a tupperware of cold water out of the fridge. Put in 2 sachets Luchun Lingzhi Tea and leave the container on the table (room temperature) for 5 hours. After that, drink it immediately. Then continue to soak the teabags in hot water and drink it for the rest of the day. Mr P's mother used this method and after 1 month, reported a substantial drop in her blood sugar level. Mr Lin's son also testified to similar result when he used this method. Drinking this coffee regularly is found to lower uric acid level, prevent kidney stones from forming and has the ability to soften the kidney stones. 4 years ago, Mr P's friend was informed by the doctor that he had stones in his gallbladder and the cost of the operation to remove the stones was about RM3,000. As he did not have money for operation, he opted to drink 3 sachets CEO Cafe Coffee 3-in-1 a day. After 1+ month, the stones naturally came out when he was passing urine. When your kidney is not performing optimally, it will excrete too little Uric Acid, thus causing you gout problem. Taking Yung Kien Ganoderma can help manage your kidney's health and enhance its function. For very serious gout problems, it is recommended to take 4 capsules Yung Kien Ganoderma each time, 3 times a day. Jia Hor Lingzhi is not as effective. Take until the pain subsides. People who are suffering from severe gout attacks are forced to refrain from eating a lot of food. As such, they will be deficient in many nutrients. Taking Yung Kien Pollen replenishes their body with more than 200 types of high quality vitamins, minerals and enzymes. Because of the high bio-availability, these nutrients do not burden their body further with the need to digest before utilisation. Drop me a mail at askfuiping@gmail.com if you want to buy Shuang Hor products to solve your gout problem. I am an Authorised Distributor.